In 1935 Professor Stanley Jevons and Mr. C.S. Collier (a Governor of the Bank of Ethiopia) attempted to raise a loan on behalf of Haile Selassie I to buy munitions for Ethiopian forces as Italy threatened to invade. For this purpose they formed the Abyssinia Committee. 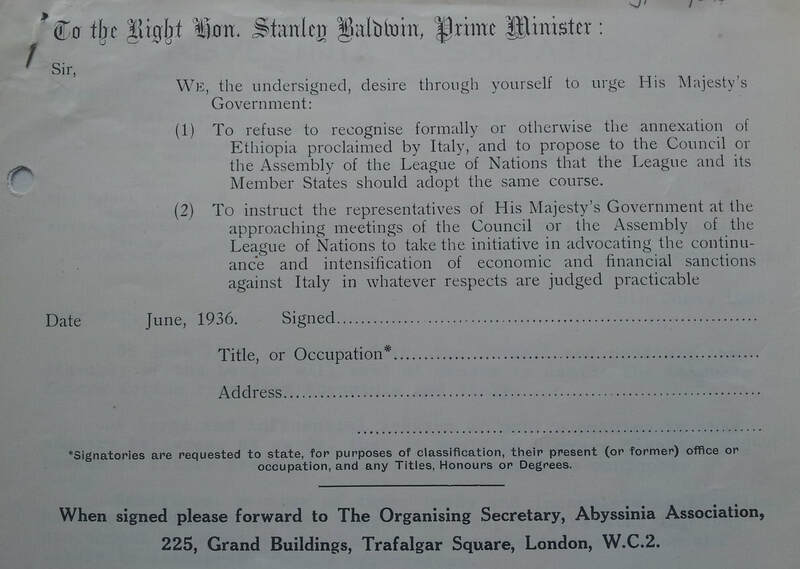 When the British Treasury refused to sanction the issue of the loan, the Committee expanded its membership in order to found the Abyssinian Association. To endeavour to safeguard the interests of the Ethiopian refugees. ​Professor Jevons and Major Neil Hunter (a member of the Association) were present in June 1936 to witness the Emperor give his historic speech at Geneva. The Abyssinia Association was also present at Waterloo station to welcome Haile Selassie I to England. 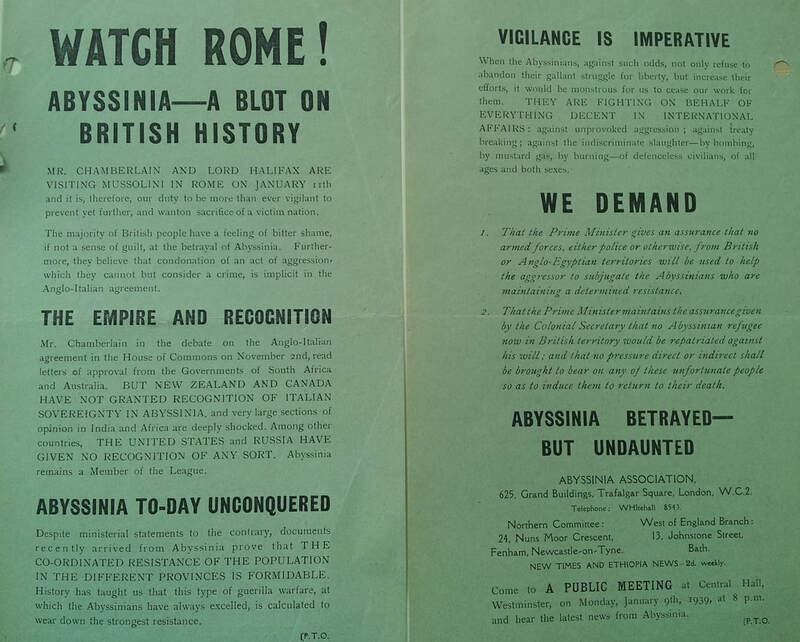 Alongside Sylvia Pankhurst's New Times and Ethiopia News, the Abyssinia Association was a key organiser of British support for Ethiopia during 1936-1941. ​The following documents suggest that the Association was especially sensitive about formal recognition of Mussolini's conquest of Ethiopia by the British government. In 1948 the Abyssinia Association changed its name to become the Anglo-Ethiopian society. The new society professed a more cultural rather than political interest in liberated Ethiopia. The society still meets regularly today.